To ensure that EPPs, continuity plans, and other related systems work as expected, MIT Emergency Management oversees drills and exercises for DLCs. 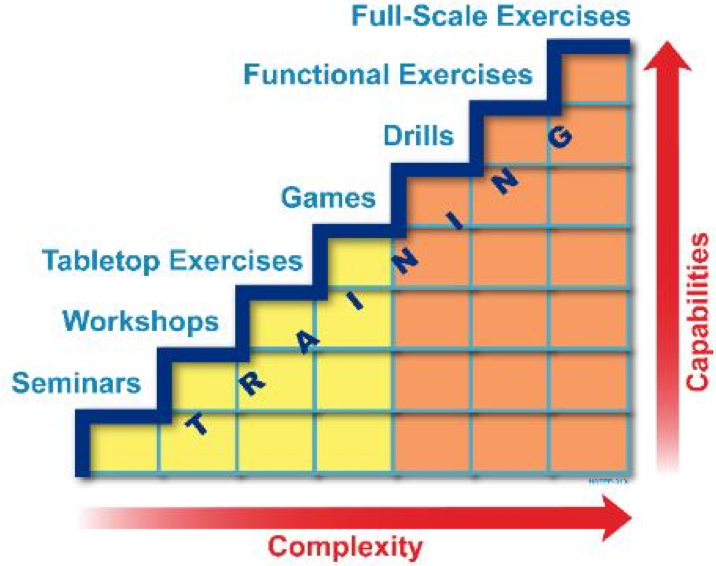 This includes creating, conducting, evaluating and/or observing drills and tabletop, functional, or full-scale exercises. MIT Emergency Management uses FEMA’s Homeland Security Exercise and Evaluation Program (HSEEP) as a guideline when conducting drills and exercises. HSEEP provides a set of guiding principles for exercise programs, as well as a common approach to exercise program management, design and development, conduct, evaluation, and improvement planning. The HSEEP exercise and evaluation doctrine is flexible, adaptable, and used by stakeholders across the whole community. It is applicable for exercises across all of the MIT EM mission areas – preparedness, mitigation, response, recovery, communications, and continuity. If you are interested in learning more, or you would like to schedule an exercise, please email us at em-staff@mit.edu. Please note that we will need an appropriate amount of lead time in order to prepare a proper exercise.